A school council has been in existence in Ysgol Rhiwabon for many years. Its membership includes students from every year, elected by their fellows. The council meets regularly, under their own elected chair, with support from a member of the School Leadership Team. 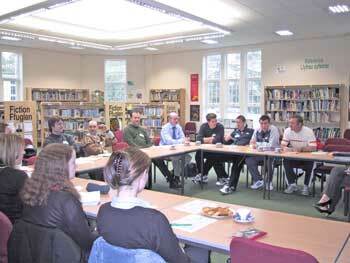 Items discussed vary, but include a range of issues relating to students, school facilities and organisation. Representatives of the council have also met candidates being interviewed for posts at the school.